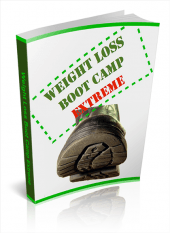 What is The Weight Loss Boot Camp? You’ve bought diet books from a bookstore? You’ve bought lose-weight e-books from the Internet? You’ve gone along every week to a slimming club to be weighed in front of other people? You’ve joined an exercise club and paid out thousands of dollars in subs? You’ve bought slimming foods and shakes? You’ve tried special, weird diets? You’ve tried weight loss tablets? And none of them have worked. Right? You’re still as fat as ever and you’re still trying to lose weight. It’s time to get real. It’s time to wake up and realize that the weight loss industry is taking you, and millions like you, for a ride. They keep taking your money and you never lose any weight. 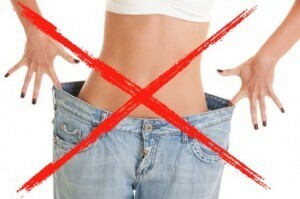 You might lose a few pounds then straight away you put them all back on again. Have you ever wondered why this is? You should have. Well, now you’re gonna find out. There’s a simple fact that they’ve never told you, and they’re not gonna tell you, all the time you’ve got money to spend. Why should they? They’re not gonna kill the goose that keeps laying all these golden eggs! If you want to lose weight, lots of weight, you need to wake up to a few cold hard unpalatable facts that explain why you got so fat, and how you’re gonna go about getting thin again. But I don’t want any slackers. This is a BOOT CAMP. It’s gonna be hard but if you follow the WEIGHT LOSS BOOT CAMP EXTREME STRATEGY then you WILL see results. Some fundamental truths about losing weight. Get these in your head and you’ll be off to a flying start! You’re gonna learn WHEN to eat, and the BIG MISTAKE most diets will have you making every day! PLUS the 5000-year-old secret that will cut your calorie consumption by a massive 15% every week! Find out how much you’re eating and why it always seems less than it really is. Why WHERE you eat makes such a big difference. Don’t believe me? That’s OK, stay fat. Learn the Biggest Mistake that most fat people make when they’re eating – and what to do about it. The truth about the food you eat every day and how to combat the biggest scourge of today’s diet. How to find the invisible ingredient in our food that makes us want more and more of it. Why we want fatty foods and what to do about them – and, crucially, how! The one part of our daily lives that makes a huge difference to our food requirements. Is exercise the answer? Find out some surprising facts that make exercising to lose weight a walk in the park. ⟵Would You Like to Be A Weight Loss All Star?